I remember watching a TV programme many years ago where an amateur writer was caught drafting his Desert Island Disc selections before he had even finished his first novel. Strange as it might seem, negotiations had only just begun with my chosen successor to take over IMI Europe, yet the first thing I began considering was how and when it should be announced to the world. 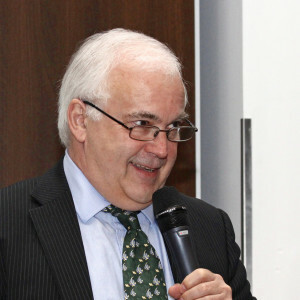 And so last Wednesday 2nd December, 2015 I stood up at the start of the final IMI Europe Ink Jet Conference that I would organise, made a few jokes, explained that it was time for me to hand over the baton to someone younger, and introduced the new Managing Director and owner of IMI Europe, Dr Tim Phillips. I’m sure the audience noticed it was an emotional moment for me. 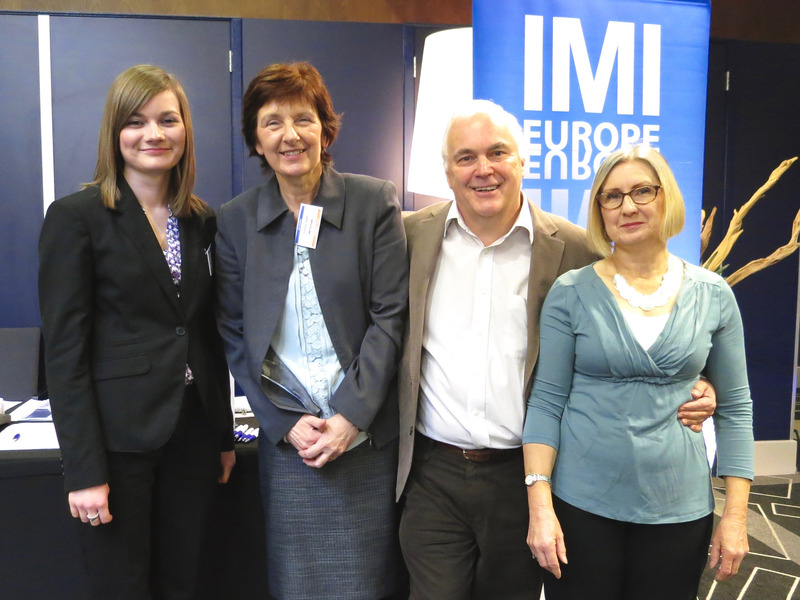 The conference was held in Amsterdam, in exactly the same hotel where IMI Europe began 17 years ago! This was actually not by design; when seeking a suitable venue the Novotel was the only one with the right space, at the right price and at the right time. It felt like coming home, travelling a full circle. I had previously taken the Ink Jet Conference south, due to the dark, damp weather in Northern Europe late in the year. I was reminded of this whilst struggling with a suitcase against the wind on the walk from the train station to the hotel when I arrived. IMI Europe formed out of IMI Inc., with friend and business partner Al Keene. I convinced him we should set up in Europe to exploit a different kind of ink jet industry. In the 1990’s the US was heavily into desktop and wide format printing, with many local manufacturers. In Europe there were clusters of ink jet expertise, including around my home base of Cambridge, UK. I’d been working within the ink jet industry, as I still do, and had been one of the founders of Xaar. The future in my mind was with non-office applications of ink jet, and quickly we established new events covering Digital Commercial and Packaging Printing (1999) and Digital Industrial and Decorative Printing (2001), years ahead of their time. The first Industrial Ink Jet Technology Showcase was held in 2002, where suppliers to the industry could present their products and services to the emerging development community. The first Ink Jet Summer School was held in Cambridge in 1999, attracting delegates from around the world. Together with Dr Alan Hudd we began the Ink Jet Academy course which has been a phenomenal success, with over 3,000 having attended over 17 years. We’re pretty sure that these events have helped inspire, educate and train the emerging industrial applications for ink jet, particularly in Europe. We’ve found that some delegates came from companies we had previously never heard of, yet 18 months later revolutionary new products would be launched. But the flagship event of IMI Europe has always been the annual European Ink Jet Conference, and therefore this had to be my finale. And what a conference it was this year! Registrations kept coming in right up until the last minute. We had zero no-shows; everyone came. The speaker programme was so strong that 85% of the audience were still there in the last couple of hours of the final morning. The level of speakers was outstanding, with several CEOs and Executives presenting. Delegate after delegate told me that all of the presentations were top quality, not a poor one amongst them. The feedback we received on our evaluations forms confirmed this. The atmosphere was superb! So why the handover? Well over the past few years I have been increasingly frustrated. I still have the enthusiasm to do more, to launch new events in new locations around the world. My brilliant team are also keen to take the company forward to new heights. But I’m getting old and tired, and also have another company to manage – Pivotal Resources. I also now regret, like many others I’m sure, that I spent my most productive years growing a business but neglected spending enough time with my children as they grew up. I’m not going to make the same mistake with my grandchildren. So that’s why it was time to find someone younger with the right skills and expertise to continue with IMI Europe. But you haven’t seen the last of me. I’ll still be around as Chairman of IMI Europe for at least the next few years, and will be continuing with the Ink Jet Academy course and Pivotal Resources. Over the past two decades with IMI Europe I’ve made so many friends within the industry, which has built up into a close-knit community, and I’ve had a fantastic time. I wish you all continued success and hope you will continue your loyalty with Tim in the future.